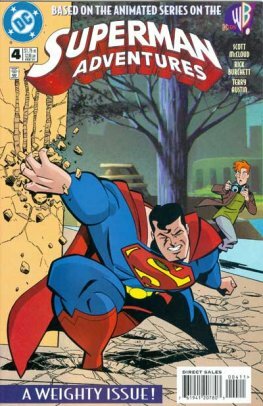 Superman Adventures is a DC Comics comic book series featuring Superman. 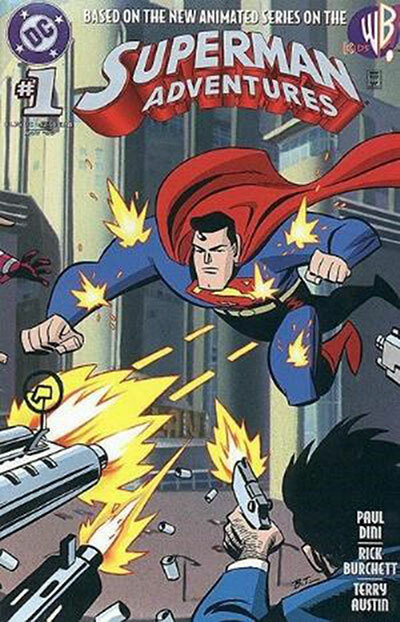 It is different from other Superman titles in that it is set in the continuity (and style) of Superman: The Animated Series as opposed to the regular DC Universe. It ran for 66 issues between 1996 and 2002. Writers on the series included Paul Dini, Mark Evanier, Devin Grayson, Scott McCloud, Mark Millar, and Ty Templeton. 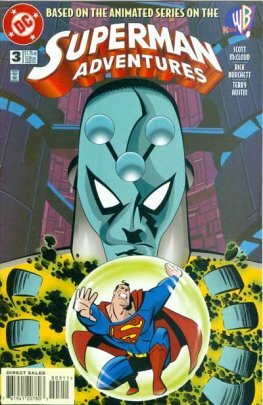 It is a sister title to The Batman Adventures (based on Batman: The Animated Series) and Justice League Adventures (based on Justice League).